I worked with proprietary software from 2005-2012, but then I made the switch to Linux and have never looked back. I now use only Free/Libre/Open Source Software for my work – to be able to easily share my projects with others without cost or licensing barriers; to promote and improve the wealth of resources in the commons; to avoid obsolescence between program versions; to be able to teach people using freely accessible tools; to learn more about, and have more control over my software; and to avoid vendor lock-in from proprietary programs. Thanks to Free Software’s transparent community-led development, a tendency towards modularity, and a culture which likes to experiment by ‘chaining’ different tools together into complex and unique workflows, a user of F/LOSS is made more aware of how their tools work and the limitless possibilities for creativity they offer. 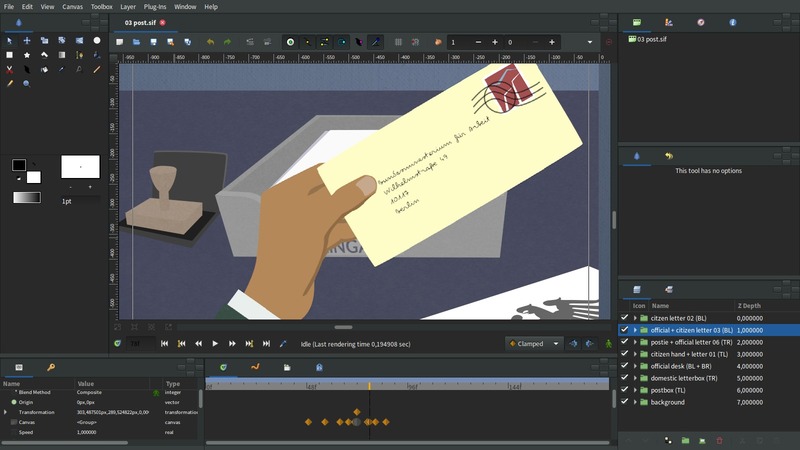 For me, Kdenlive is by far the best of free software video editors – as well as the usual editing functionality there are more professional elements such as audio plugin integration, advanced colour correction tools, scopes, and multiple editing modes (Slip/Roll/Ripple etc). 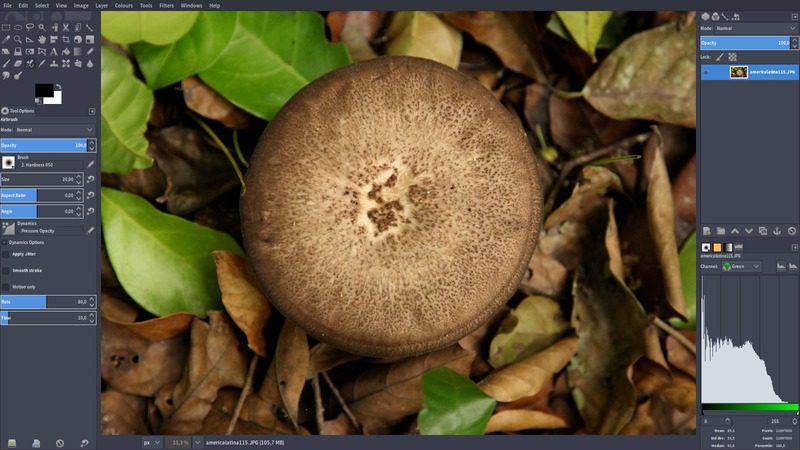 The backend of Kdenlive (FFMPEG and MLT) is rock-solid, and seems to handle any format I throw at it, the user interface has improved hugely over the last couple of years and reached a professional level of functionality & polish, which in turn is bringing more active users into the community. 3D Compositing, animation and video tracking/stabilization. 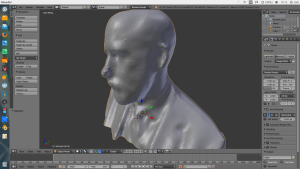 Blender is an incredibly fully-featured beast of a software suite that does everything from game design, 3D printing, to video editing and animation. 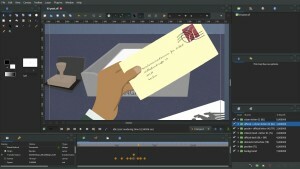 I mostly use it for video stabilization and tracking, so that I can fix shots, insert titles, or cover moving elements in a video, and I’m getting to grips with the amazing new 2D animation tool, Grease Pencil. I’ve still got a lot more exploring to do in the world of Blender, at this stage other people can do a lot more with it than I can! Although I rarely use raster graphics these days, GIMP is a useful general-purpose program for editing and manipulating images – whether you’re retouching your photos to cheat your way to a World Press Photo prize or you’re working magic in r/photoshopbattles, GIMP is there to help. Note: GIMP ≠ Photoshop – in the open source graphics world, there are different tools for different tasks. For illustration, digital painting and frame-by-frame animation, use Krita. For photo processing, use Darktable. Vector illustration, titles and design. 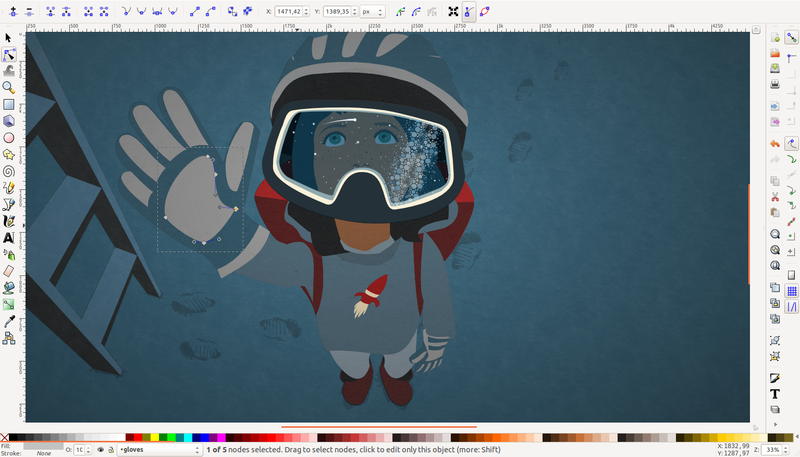 Inkscape is a wonderful vector illustration tool! The projects are based on SVG, an open format, which makes exporting, sharing and collaborating on Inkscape projects incredibly easy. It’s very quick to get the hang of and you can also export your drawings as Synfig project files in order to animate them. Record, mix, edit and convert audio. 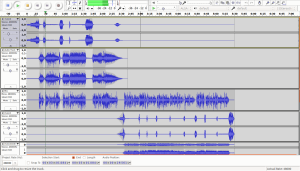 Audacity may have a face for radio, but it’s an incredibly useful tool for editing and processing audio – I use it for mixing, EQ-ing, noise removal, compressing, DeEssing, making fine edits, removing clicks and pops etc. 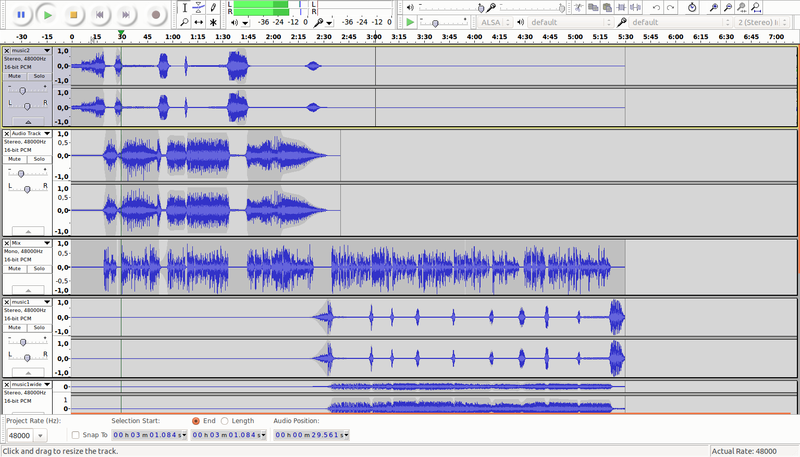 If Audacity is the Swiss Army knife of F/LOSS audio, then Ardour is some kind of industrial-grade food processor. 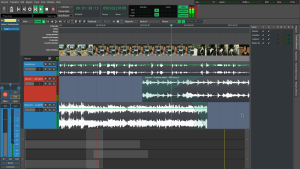 You can do all sorts of multi-track recording, MIDI composition, mastering etc, but I only use it for audio mixing. Import a video file to synch to, and experiment to your heart’s content with non-destructive effects and plugins. A high-performance and user-friendly operating system. There are many different flavours of the GNU/Linux operating system to choose from, but I happen to use Solus. 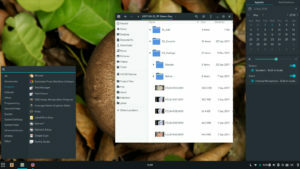 These days most common GNU/Linux distributions are based upon other popular distros like Debian, Arch or Red Hat, but Solus is its own thing. You can choose between different Desktop Environments on Solus, and I use their own ‘Budgie’ setup. What I like about it is that the performance is always excellent (faster boot times & video renders than other distros, for example), it’s thoughtfully designed, and software is promptly updated with no fuss. 2D vector animation and motion graphics. Synfig is a vector-based 2D animation program, which I use for character animations and creating motion graphics, animated titles etc. It integrates beautifully with Inkscape, and it’s cross-platform. Development is currently happening at a fast rate, so new features are being added all the time. It can be a little confusing at first, so I would recommend the Training Package tutorial video series to get started. FFmpeg does EVERYTHING. Convert videos, de- and re-mux, make lossless screencasts, split concatenate clips and frames, convert from basically any codec to any other, trim a video file without re-encoding, process and transform video and audio, batch process clips, inspect and edit video properties… EVERYTHING. You just have to learn to love the command line :) I’ve documented some of my favourite tips and tricks, enjoy!